Kota Kinabalu: A local company is set to pioneer renewable energy in the State by tapping into geothermal sources in Tawau. Green Energy Sdn Bhd (TGE) which inked a deal with Sabah Electricity Board (SESB) on Tuesday, aims to generate in the next two years 30MW of electricity for Tawau and its surrounding areas for up to 100 years. Its RM400 million geothermal power plant at Apas Kiri, which will be connected to the Sabah electricity grid, will also be Malaysia's first renewable energy power plant using geothermal energy resources. TGE Project Director Andrew Amalados said work will commence Wednesday and is scheduled for completion by December 2014, is one of the cleanest forms of renewable energy with carbon footprints very much lower than of coal, fossil oil and natural gas. Read the news further at Daily Express. The four Renewable Energy type that enjoy special tariff system in Malaysia are Biogas, Biomass, Small Hydro power, and Solar PV. The special tariff is an incentive to catalyse the generation of renewable energy. Geothermal power is not one of the renewable energy sources under the national FiT policy. Geothermal power is, however, categotised as renewable due to the sustainability of the source of thermal energy and it is much greener compared to coal, fossil fuel and natural gas. As such, initiatives by individuals and enterprises in harnessing energy from geothermal quaify for certain financial incentive from the government as well as global recognition by international organisations. Put in simple term, geothermal energy is generated from the temperature derived from earth. 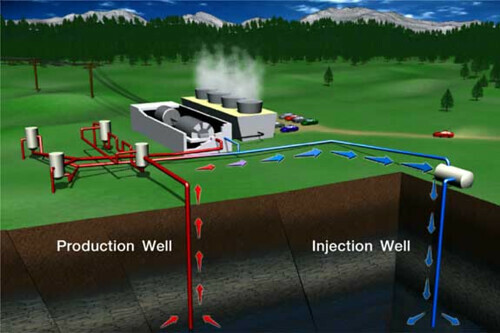 As shown in the above image, high pressure steam is obtained from underground geothermal hot reservoir, is contained and managed, then used too drive the power plant turbines to generate electricity. Recovered fluid is injected back to earth and the cycle is repeated. 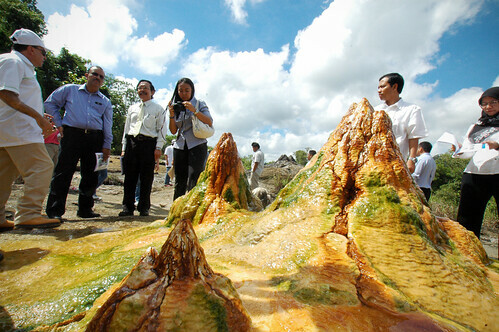 Image from Tawau Green Energy website. 30MW is not much compared to Sabah's total current demand of 772MW but it will certainly help in stabilising the quality of power supply in the East Coast. Higher available capacity means lesser interruption of power at the consumer end. It is about time that we start harnessing all the available renewable resources. @Amarillo life. I think that's hot springs on extended igneous rocks. So, yes, kind of tiny igneous mountain of sort. @KY Chua. According to their Project Development plan, it says yes EIA study was conducted.